Everyone has needs. Our obvious basic needs are required for survival, like food, water and shelter. Beyond the basic needs, we have needs that help us live healthier lives, such as exercise, companionship, play and mental stimulation. Within these needs, we all have preferences. We have different food preferences, like different types of exercise and have different opinions about our companions. Our dogs are the same way. When we look at our dog’s needs, we must consider their breed as well as their personality. Most breeds have traits that are typical of the breed, for example, Border Collie’s herd, Golden Retriever’s retrieve and terriers hunt. However, within a breed, each individual has their own personality. Some Golden retrievers will play fetch all day while others are exhausted after a walk around the neighborhood. Many Border Collie’s love dog agility, while others have no interest. If we want our dogs to live happy lives, we must respect their needs. Sometimes we put our needs ahead of our dog’s needs. When we do this, we often leave our dog with unmet needs, which can lead to behavior problems. If we adopt a dog with the intention of participating in agility trials and the dog is afraid or has no interest in agility, both needs will be unmet and the can affect our bond with our dog. If we adopt a dog to be our walking/ hiking partner but the dog dislikes walks/hikes, again everyone’s needs go unmet. 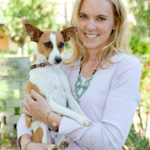 In order to get both our needs and our dog’s needs met, we often need to make compromises. Although exercise is a universal need, there are no laws about what form of exercise needs to be done. If your dog does not like to walk/hike, maybe he loves to play fetch. Maybe the dog that is not interested in agility would be a great dock jumper or swimmer. We often run into the most problems when we are rigid and unwilling to look at different options to fulfill a specific need. Assuring that your needs and your dog’s needs are met can take some thought and creativity. However, if you can find activities and situations that meet both of your needs, your bond with your dog will grow and blossom and be stronger than you ever imagined possible. 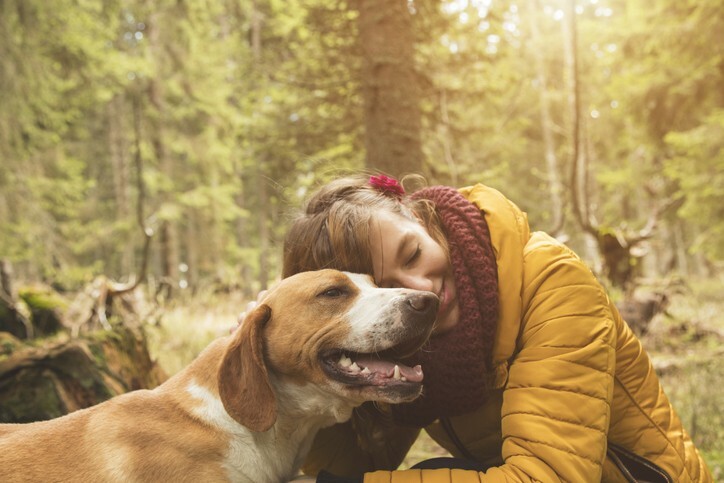 To find this happiness with your dog, you may need to think outside the box but remember “Life Begins at the end of your comfort zone” (Neale Donald Walsch).